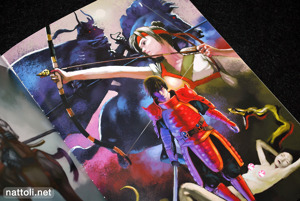 If you've ever seen Ito Satoshi's art work, you've probably noticed it's strongly influenced by Western fantasy art, and is reminiscent of the Dungeons & Dragons art work I would spend hours gazing at as a kid. 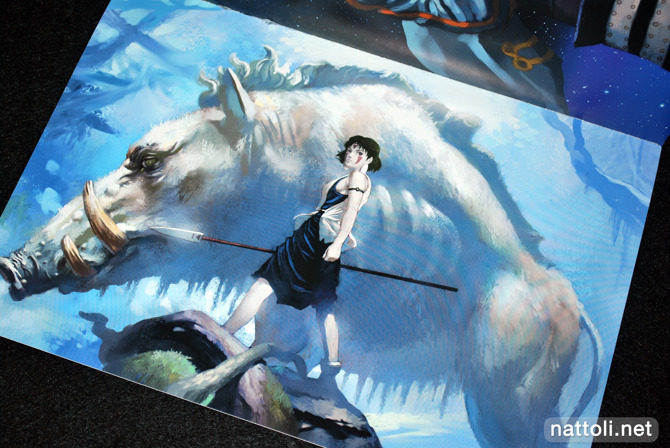 As a result, Ito's style all but re-invisions some of the popular anime characters we know (like San, from Princess Mononoke, pictured above) in a seemingly more realistic way. 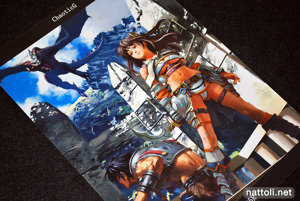 ChaoticG collects both fan art and original illustrations in this 32-page (covers included), B5-sized doujinshi. There isn't an index or text and copyright information on the illustrations, so it's possible I'm mistaking some fan arts for original works. 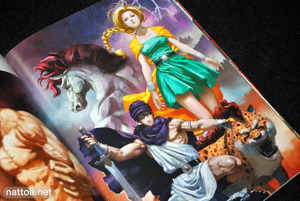 Most of the works in the front half of the book look like pretty standard fantasy-style illustrations, with the anime influence appearing in the character's dress style. 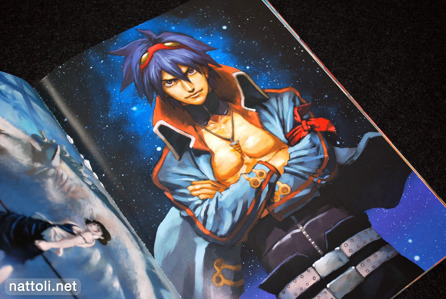 The binding of this doujinshi leaves something to be desired; several of the pages are stuck to each other inwardly, instead of being attached to the spine. 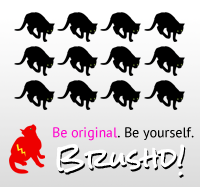 But it could also be bad luck on my part, and a mistake on a few copies. The highlight for me in ChaoticG are the fan art works. 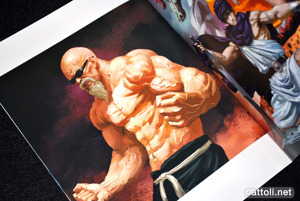 Both of the pictures above are Akira Toriyama designs; Master Roshi from Dragon Ball and Bianca and The Hero from Dragon Quest V. It suddenly becomes a lot easier to picture Master Roshi as a badass in real life ;D.
Some of the other fan arts in the book feature characters from Shadow of the Colossus, Sakura Wars, Saint Seiya, and Nausicaä of the Valley of the Wind. 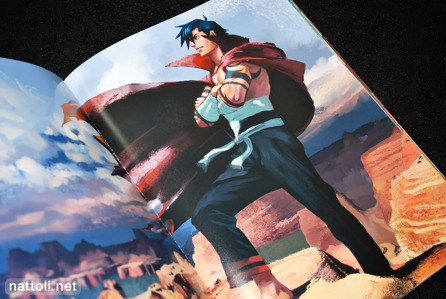 My two favorites from the book: Kamina and Simon from Tengen Toppa Gurren Lagann. 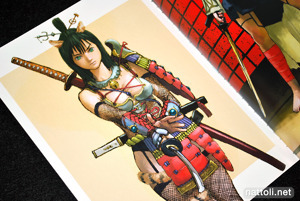 From his website I've learned that the majority of Ito Satoshi's commercial work is for trading card games, although he has also done the character designs for Fu-un Shinsengumi (風雲新撰組) on the PSP and Ninkyouden Toseinin Ichidaiki (任侠伝渡世人一代記). I'm guessing this art style has a niche audience in Japan, but Ito Satoshi's ChaoticG is a real style change from the mainstream look and that's what makes it interesting. The paint feeling is amazing. It does feel like a painting! Like something western! Very refreshing!